This unit of inquiry challenges students to develop their navigational skills using their knowledge of the sky and a magnetic compass. The primary focus is on Outdoor Skill development however there are strong connections to the Grade 6 core curriculum. Before students begin the inquiry spend some time developing their knowledge of the term “Navigation” by using a Frayer Model. Students will connect with their natural world by exploring navigation with nature. 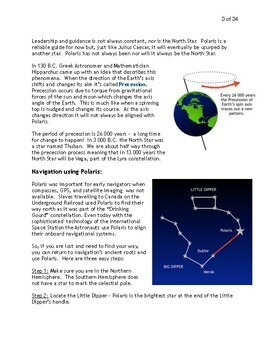 They will build their knowledge of Sky Science first by learning about the navigational star Polaris. 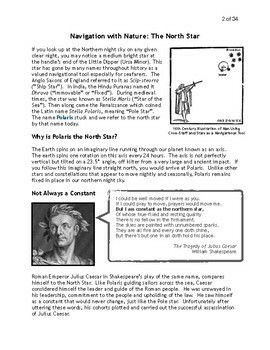 They will understand the importance of this star historically as a navigation tool plus learn how to utilize it for their own navigational purposes. Students will consider that the Pole Star is not constant but changes over time. They will also see how technology like the Hubble Telescope allows us to gain new perspectives when observing stars like Polaris. They will summarize their learning through a literacy focused activity writing a Polaris Paragraph. Students will then learn that certain constellations have a regular and predictable movement through the night sky that can support navigation. They will plot the course of the Big Dipper as it seasonally moves around the Pole Star using a Cartesian Plane and Coordinate Pairs, allowing students to develop their mathematical skills. The last connection students will make to their natural world as a navigator is to understand the daily path the Sun takes across the sky. There is an option for students to try two different sundial activities and to research the concept of Solar Noon. 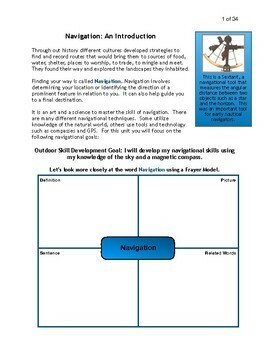 At the end of this section, students will be asked to complete a reflection as a Natural Navigator. 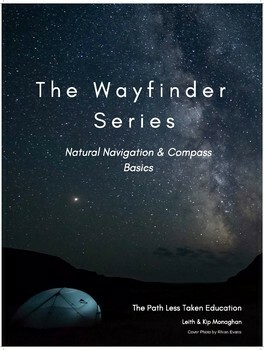 This section aims to not only build students’ outdoor skills by becoming confident navigators with a compass, it will also help students practice their mathematical knowledge with angles. For this section to be successful, students will require access to a class set of magnetic compasses. Students will begin reviewing the cardinal directions and the use of a compass rose. They will consider there is more than one “North” and that a compass uses Magnetic North. They will engage in two mini-experiments, one that explores the Earth’s magnetic field and a second that builds a simple compass using a magnet. Next students will learn the basic parts of the compass and how to take a bearing in the field. As students practice reading a bearing, there is opportunity for them to practice their mathematical knowledge of angles using a compass. To apply their knowledge of compass bearings, students will create a compass treasure hunt in the school yard or nearby green space for other students in their class. To become familiar with the area in which they will plotting their treasure hunt, students will sketch an area map and look at satellite images from Google Maps. They will then map out at least 5 bearings to help their classmates navigate towards a hidden treasure at the end. As a conclusion to learning, students will reflect on their growth as a navigator plus their experience creating and participating in the scavenger hunt. They will write a reflection based on a choice of prompts.